There is a lesson to be learned. Being someone living in the US and being a huge enthusiast of British television has always been really interesting for me when speaking to other people about my passion. When I told people that I was a huge fan of British television, they would often reply “Do you mean like Monty Python or Fawlty Towers?” Well, yes I am fans of both of those series but that is just a tiny slice of British television. They just happen to be amongst the most popular. The over-arching generic idea about what British television is in the US has sometimes been border lined condescending. People over here often based their opinion of British television solely on the snippets of programs seen over here on PBS. Through PBS, we learned about silly walks, rude hotel proprietors, crazy sisters all named after flowers, and we learned when people are free to help customers in a clothing store. We learned how to smeg off, how to be self-sufficient by growing crops in our own backyard, and learned that a man in a long scarf can save the universe each and every week. I think many people over here think British television is zany. It only has overly eccentric characters or the only worthwhile British television series are ones that take place in the 1920s. So what is my point to all of this? My point is that there is more to British television than over the top characters. Every country has eccentric characters. The problem is that it seems like only the “British Eccentric” style series find their way over here. Of course there are some exceptions but over all it feels like that it is the only hook to get a British television series over here. So, what about something that features everyday life like a series about policemen? Is this a series about policemen (bobbies) set in the 1920s? No. It’s a contemporary series about policemen set in contemporary times of when the series was made? Sure, but they are in the British country side right? Maybe residing in a manor house? No! Not all British police dramas are Midsomer Murders! It’s a shame that American Television has an imperialistic view of television. 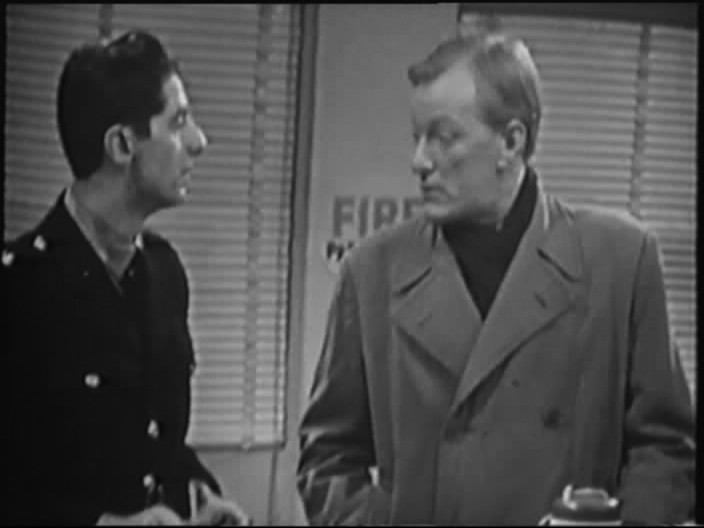 What we have shown on our Network TV through the years from the UK has been The Prisoner, The Avengers, Merlin, and possibly a couple more but over in the UK, they have shown a lot of US drama/cop imports that shows contemporary everyday life. There isn’t anything like that over here from the UK. It’s not unique enough? It’s still amazing TV. Not all British television is Monty Python’s Flying Circus. Is this an incredibly long-winded way to saying that Z Cars is any good? I know most people in the UK who have seen it would agree but there are many fans of British television especially in the US who have never seen it before. It is a shame really. Z Cars is now 51 years old. Finally Acorn Media in the UK are releasing a DVD set of episodes. To me, that was a good sign that maybe some of this stuff would make its way over to the US. I asked Acorn about it and it appears that there are currently no plans to release this series over here. 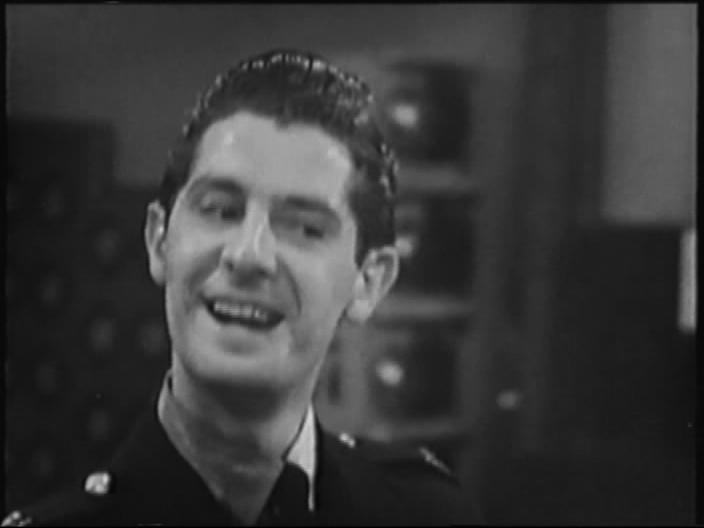 The same goes for the DVD release of Dixon of Dock Green that was released in the UK last year. Too bad, it is simply amazing television. I am saying all of this because I think there are British television stereotypes in the US. I love Acorn Media, I am not trying to have a go at them. They are a business to make money. When it comes to British television, the US arm will release the stuff that many US citizens consider to be the only types of British television made. These include mysteries (with many by Agatha Christie) or historical dramas. This is all content I love too but what about some of the programs that depict everyday life in the UK? A set of Special Branch was released last year. I wonder how well that did. It was all shot on film so maybe that is why the series was released. What is all the fuss about? 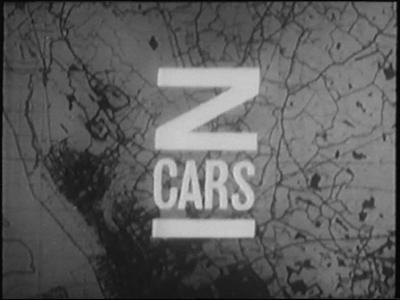 I watched the first episode of Z Cars this last weekend. I have seen the series before and I have really enjoyed it. While watching this, I thought to myself that there are a lot of people over in the US that are really missing out on some vintage/historical BBC television. I am lucky enough to have friends from the UK who know my lust for British television and will watch anything but there are many who consider themselves experts who don’t even know this series exist. Does anyone else in the US ever run into this? Kind of like Brian Blessed, it is hard to believe there was ever time when I thought this series was young. I have read about Z Cars most of my life. Z Cars is a series about police officers driving cars on patrol in the town of Newton. That is an overly simplistic description but the idea of police officers patrolling in cars was a new one in the early 1960s. Most of the police officers would patrol on foot. In fact, in this episode, there is a bias and misunderstanding about officers who drive cars opposed to walking their beat. It was thought that by some officers that patrolling in a police car meant doing nothing and listening to music. 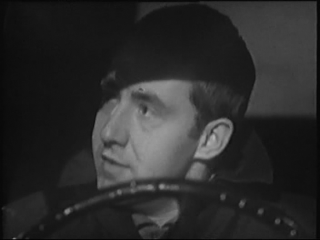 I have seen the first episode to Z Cars before but admittedly did not pay too close attention. I was more interested in some of the later 1960s episodes. What shocked me the most about this episode was that it is really a first introductory episode. This is an episode that sets up the whole series. I thought we sort of joined into an established story but at the beginning of the episode there are no Z Cars or system in place for them but by the end of the episode there are Z Cars. 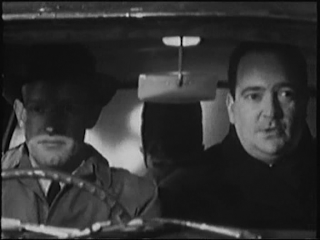 This episode is about how to officers Barlow & Watt find the men who drive the Z Cars. The series starts off with Watt visiting the grave of a recently murdered police officer. Sneaking up behind him is DCI Barlow. Barlow doesn’t realize it is Watt and tackles him thinking that Watt could be the murderer. Barlow believes that the murderer always returns to the grave of someone they killed. 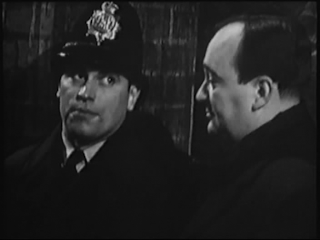 After Barlow sees his mistake, he and Watt start to discuss what happened to this poor officer. Watt believes that if the police in the area had police patrolling in cars, this could have been avoided. Not only does Barlow agree with him but so does Superintendent Robins. In fact, work is underway to get a department set up with Barlow putting Watt in charge of it. It is up to Watt to find the officers who will be in the cars. Ultimately Watt chooses four officers: PC Bob Steele, PC Bert Lynch, PC “Fancy” Smith, and PC Jock Weir. None of these officers are perfect. This is what often set the tone to be somewhat different to another police series the BBC had going at the time, Dixon of Dock Green. Between the two series at this time, Z Cars was a little grittier. We first meet Lynch and Steele at Steele’s house. Lynch has come over to eat supper while Steele is taking his time returning home. One thing that is surprising from the start is that Steele has a rough relationship with his wife Janey. When we first meet her, she has a black eye somehow given to her in an argument with her husband. At this point, we don’t know any more about their relationship. It is clear they both care for each other but there is something else happening. Lynch clearly feels bad for Janey. Lynch also appears to be someone who only wants to work his shift as an officer and nothing more. His superior tells him that being a police officer is a 24 hour a day job. What Watt likes about Lynch is that he has a knack for catching criminals. 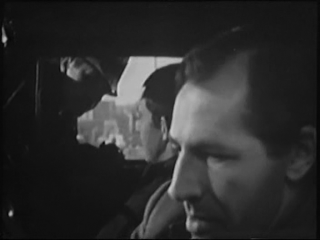 As Barlow & Watt watches from their car, Lynch nabs two men for stealing a van. 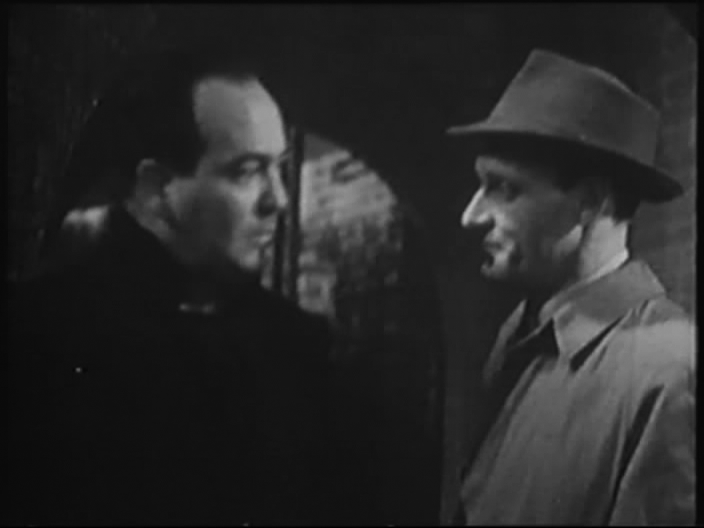 It’s interesting to note that these criminals are Bernard Kay who is a brilliant character actor and also Derek Ware who would later found the stunt team HAVOC. I had to re-watch how we met Jock Weir because it is short and virtually forgettable. Weir is playing rugby in a match and gets hurt. Barlow & Watt go see him as he is being attended to which is when they ask him if he wants to join the new team. There is a nice little bit of humour to this series that I didn’t expect. When they ask Weir to join, he mumbles something in pain. Watt asks Barlow what he said to which Barlow replies, “He asked, Is there more money?” Before they leave Weir, Watt gives him one extra day to recover before reporting in since he is hurt. It is subtle humour and a nice touch that permeates throughout the episode. We meet Fancy Smith who sees immediately a couple of girls that he can tell at least one is a runaway. After the girls are handed off to Barlow & Watt, a brawl starts in a pub. We don’t see it but hear it escalate. Smith is waiting outside for the brawl to warm up a bit before he goes in. The scene is very enjoyable because the timing of the humour is great and it also shows how well he knows his area plus it is Brian Blessed. We meet Steele at the beginning of the episode but he is never asked to join this new team. Back at the station, Lynch is boasting to Steele that he has been asked to join and Steele hasn’t. Steele is a little sore about it and goes into an office in the station to do some work. Soon, Mrs. Jones shows up to tell Lynch at the front desk that her son Rodney won’t take his medication and is getting crazy. He has an axe. Mrs. Jones was played by Anna Wing who just passed away. Lynch asks Steele to go with Mrs. Jones because he is stuck at the station filling out a report. This scene at the station is kind of odd. Prior to Mrs. Jones coming in, Lynch gets a call from someone reporting a house fire. Did calls for fire go to the police back then? Lynch really didn’t do anything about it but it also was apparently right next door to where he lived. Lynch did not look upset about this at all. There is also a young man who comes into the station to get a shilling. His name is Willie Thatcher and he is played by David Jones or more so known as Davy Jones from The Monkees. Anyway, Steele goes to the house where Mrs. Jones lives with her son Rodney. She leaves with the baby while Steele has a discussion with Rodney. Since I don’t know these characters very well, there is actually a great deal of tension as I don’t know what is going to happen to him. Steele is uneasy about having to talk with Rodney as he doesn’t know what to expect but he does his duty and he does it well. It all turns out to be a misunderstanding and good ol’ Rodney finally takes his medication. Steele returns to his house to find Lynch there again but this time with Watt. Watt asks Steele if he would join this new force which Steele readily agrees. We end with a shot of all 4 officers going to their new cars thus the beginning of a television classic! This is a really great start to the series and to be honest I think Acorn Media UK missed a trick to not having at least this episode represented on their upcoming release of the series in the UK. I think this is a nice way to give a little bit of context to the series. Obviously, I am not an expert on this series but I feel the series’ first run from 1962 to 1965 may be a very popular one with the classic line up of characters. I think that would have made more sales. In case I wasn’t clear above, Z Cars are the two patrol cars in the series that we get to see very little of at the end of the episode. The series gave the cars the non-existent signs of Z-Victor 1 and Z-Victor 2. 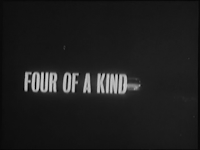 The series originally ran from 1962 to 1965 and went off the air for a couple of years. 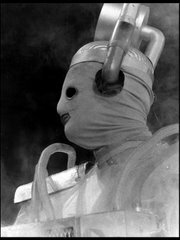 It returned in 1967 and finished up in 1978 with a grand total of 799 episodes. Of course, there are a lot of missing episodes. In fact, according to Wikipedia, this very first episode was returned to the archives in the 1980s to writer Allan Prior by an engineer who took it home to preserve because his children loved it so much. Sadly, there are no rumours of 90 episodes of Z Cars being found……or are there? Lots of notable people in this including Stratford Johns as Barlow and Frank Windsor as Watt. I love these two characters. I wrote about them a while ago in an episode of Softly Softly and I wrote about Frank Windsor in an article about A for Andromeda. 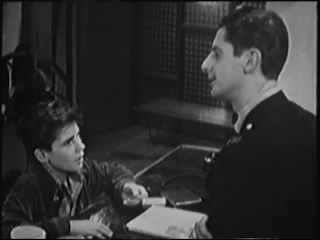 There is also Brian Blessed in an early role as Fancy Smith. It is so underplayed. He is a great actor. If you have never seen him in I Claudius, seek it out. It is divine. James Ellis played Bert Lynch who would make it through the entire run of Z Cars. I think what also surprised me about the episode was how easy it was to enjoy. I don’t know why I thought it was anything other than that. When I tried to get through the episodes before, it seemed like a lot of characters to digest at once yet when I actually sat down to watch it, it was great. Part of the problem is that the quality of the episode isn’t great as you can see from the quality of the screengrabs. I was afraid since it wasn’t great quality that I may not have been able to decipher all the characters. Out of the 799 episodes of the series, I have about 40. So not a whole lot. The quality in my collection varies from good to very good to pretty bad. A VHS was released in the UK years ago that I thought of picking up second hand to make a better quality DVD copy of the first episode except to buy the VHS used was £20. Too expensive for me! I thought this first episode did a really nice job of introducing the characters of the series. First off, we see almost immediately that these are not perfect characters. Even Watt’s wife had left him which was a taboo subject back then. Getting a divorce was also very difficult too. 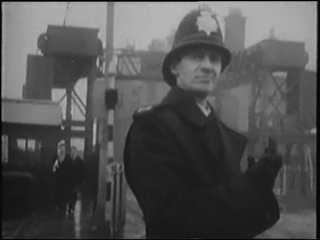 Even the police officer themselves who eventually joined the new Z Cars division had flaws. Lynch was not even considered a real policeman by the standards of Superintendent Robins. As mentioned above, we are given the impression that Steele hit or even hits his wife. It brings some unsavory real life into the series that may not be pretty but adds dimensions to the characters. It even has the music track “Three Guitars Mood 2” by Nelson & Raymond. Maybe the name isn’t completely familiar but Doctor Who fans would instantly recognize it as John Smith and the Common Men. 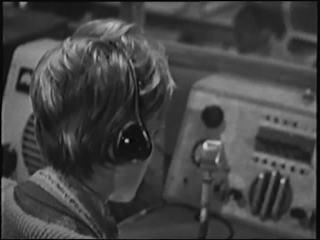 It featured in An Unearthly Child. Speaking of music, the theme to Z Cars is great. It’s like a march arranged from the Liverpool folk song “Johnny Todd”. Once I hear it, I can’t get it out of my head for days. I look at the numbers that these articles bring in for my blog every day. I am always curious to see how these articles perform. When I do any kind of article for Doctor Who, especially reviews, the numbers go through the roof! When I do something like Jeeves & Wooster, it goes way down. I would assume the same will happen with this article and that is too bad. Not bad because no one will read my work but bad because no one will be interested because it is a series they are not familiar with; not having seen it. This is truly one of the all-time classic series made by the BBC and very few have the opportunity to appreciate it. That’s too bad. Next week: It’s time for another 50WHO article. This time I look at the eighth Doctor as I write about the TV Movie. I discuss my time working for a FOX affiliate and how they all somehow thought it was my fault that the TV Movie did not do as well as I hoped! I have to admit, I got my start down the British TV path thanks to PBS, but it has gone a long way since. Many years ago at what I consider to be my first "real job", I was talking to my boss about hobbies and mentioned British tv, The first thing out of his mouth was "Like Benny Hill?". I knew right away I dodn't stand a chance of explaining more to him, so I just said yes and moved on. Still, could be worse. As for Z Cars, that is one I have not mamnaged to see, but again, someday. It's worth taking a look at. Hopefully Acorn Media releases the UK set over here. It's the later series. Thanks for checking out my article. I started out with loving Doctor Who and getting my hands on anything I can. It's nice to write about some of the older shows because they will eventually be forgotten. Z Cars was so big in the UK but now it's completely different. Hopefully someone looks at these and thinks some of these programs are worth checking out. I hope you check out some of the other articles.